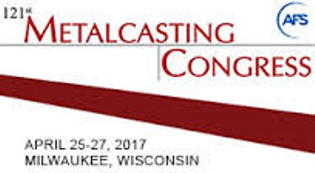 We are pleased to inform you that Magaldi Technologies LLC will attend the AFS Metalcasting Congress 2017 that will be held in Milwaukee from 25th to 27th April. The AFS Metalcasting Congress is the industry's trade show event that brings together suppliers, foundries and casting customers. Magaldi’s team will be glad to welcome you at our booth #204 to present our dependable technologies developed to meet the most demanding needs in the foundry sector. Our conveying solutions include a large list of applications that represent the perfect compromise as they are neither based on a traditional Apron technology nor a common Vibrating one. We look forward to meeting you at AFS Metalcasting Congress!